A Ricchigia S.r.l. is located at the slopes of the Etna Volcano and it offers, to the Italian and international markets, natural food products deeply-rooted in a pure environment, since tens of decades. The A Ricchigia’s strength is artisanal processes and the highest quality of raw materials, such us the Bronte’s Pistachio P.D.O. and Sicilian Almonds. Much of them come from the family firm, specialized in production and trade of Bronte’s Pistachio and dried fruits, for over fifty years. Laura Lupo, a strong-willed and stubborn entrepreneur that, two years ago, decided to bring food products of her land on domestic and international markets. A Ricchigia turns Pistachio, Almonds, HazelNuts into sweet and savory delicacies for sophisticated foodies and looking for authenticity. With her husband, a second generation family entrepreneur in the company that for fifty years in Bronte manufactures and markets Pistachio, begins to build the company. Today, A Ricchigia markets in several Italian regions and in 9 foreign markets: Germany, Swiss, England, Czech Republic, Canada, Denmark, France, Austria, and Belgium. 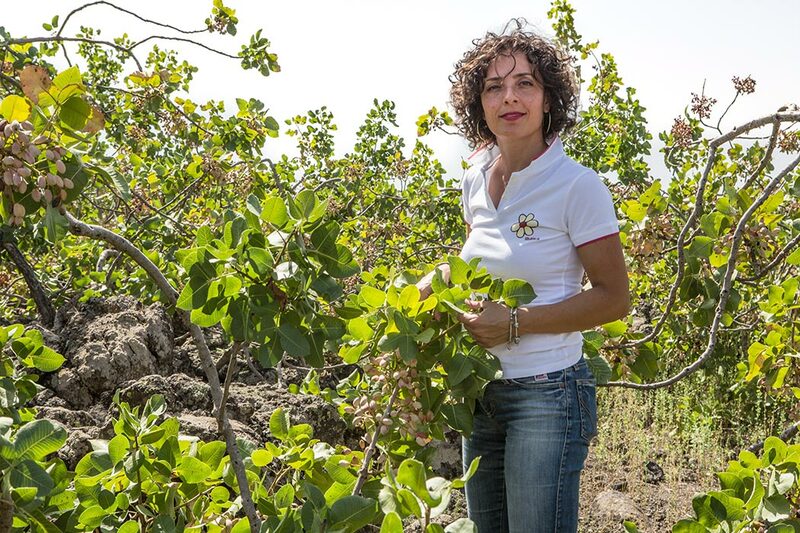 The Mission of A Ricchigia is to respect the values and cultural heritage of the cultivation of pistachios in the Etna area, fostering its market potential in Italy and abroad, in the continuity of traditional Sicilian pastry and cuisine. The Vision of A Ricchigia is offering products with pistachio, and other high quality dried fruits, made with only natural ingredients and PDO, processed according to traditional techniques and dedicated to customers who care to taste, tradition and authenticity.